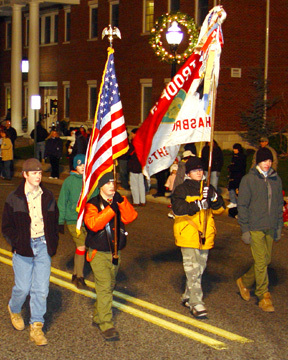 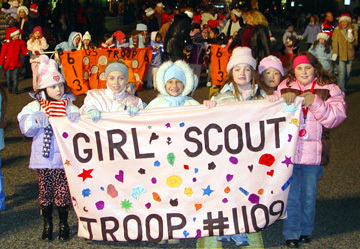 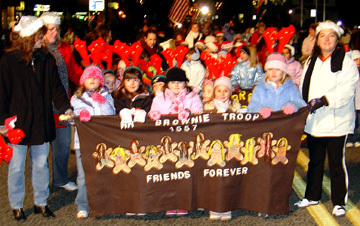 The spirit of kids from 1 to 92 were bright as the traditional Holiday Parade traveled along The Boulevard on Friday evening, November 25th. 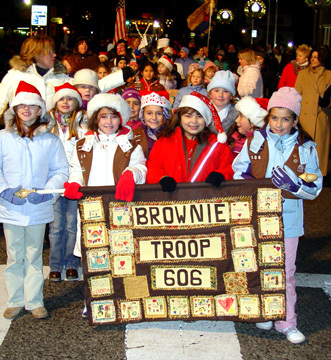 Floats, bands, community groups, antique cars, fire trucks plus Santa met at Williams Avenue at 7:00 p.m. and marched along The Boulevard to Henry Street. 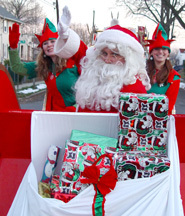 Immediately after the parade, Santa met with children at The Senior Center (320 Boulevard), for photos and treats sponsored by Kathy Dunn Cultural Center and Heights Flower Shoppe. 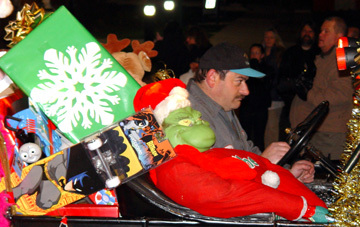 There were over 8,000 give-a-ways. 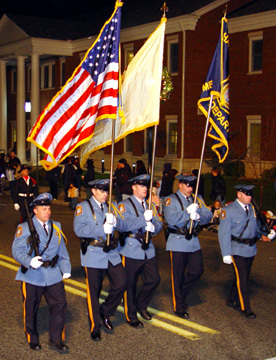 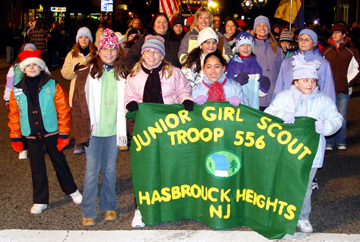 The parade line-up was as follows: The Hasbrouck Heights Police Department Honor Guard led the Parade along with Honor Guards from the Hasbrouck Heights Fire Department and the Boy Scouts. 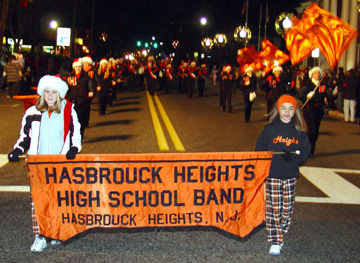 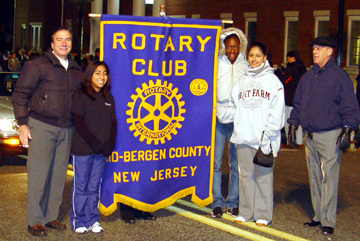 The Hasbrouck Heights High School Marching Band followed the Mid-Bergen Rotary Club marchers. 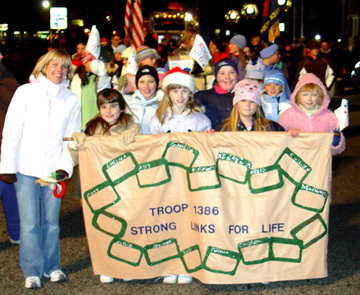 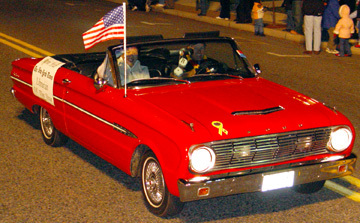 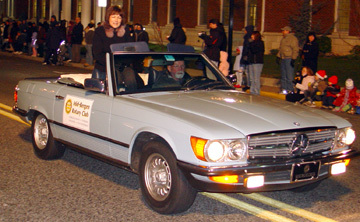 The Girl Scouts and Boy Scouts, Oradell Animal Hospital, the BCFPB Bagpipers, various sport teams on small floats (provided by Lenox Towing) and many antique cars (by Reliable Relics) paraded. 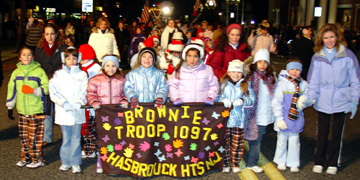 Hackensack University Medical Center provided several floats plus a contingency of festive marchers. 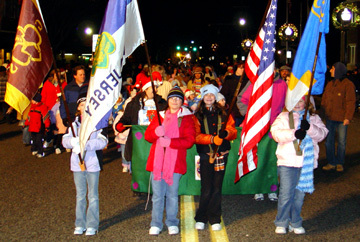 The excitement continued with the Park Ridge High School Marching Band, leading Santas personal float (sponsored by Otterstedt Insurance Agency) down The Boulevard. 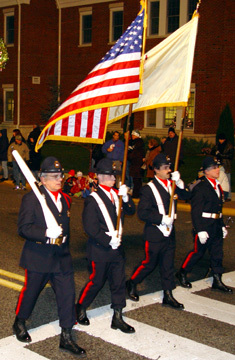 The Hasbrouck Heights Fire Department followed with their equipment and personnel. 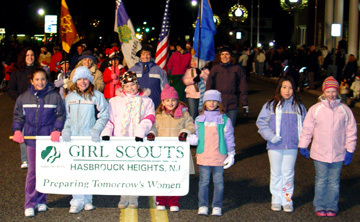 The event was sponsored by the Hasbrouck Heights Chamber of Commerce.